I'm very much one of those people who opts for store-bought pickles. I never remember that I'm out of pickles until I'm making lunch, at which point it's a little late for a week-long process . Unfortunately, if I'm out of pickles it means that I have to deal with the sad reality of a sandwich that also has no pickles. This recipe is very inexpensive to make using store bought dill pickles. You can purchase gallon size jars of pickles at Sam's Club or Walmart for under $4 and a large size of jalapenos for under $3. You can make several jars of pickles perfect for sharing. A couple months ago, not sure what spurred me, but decided to see if it was easy to make pickles. Turns out, yes, it’s boil some vinegar, cut up some stuff and chuck it in a jar easy. 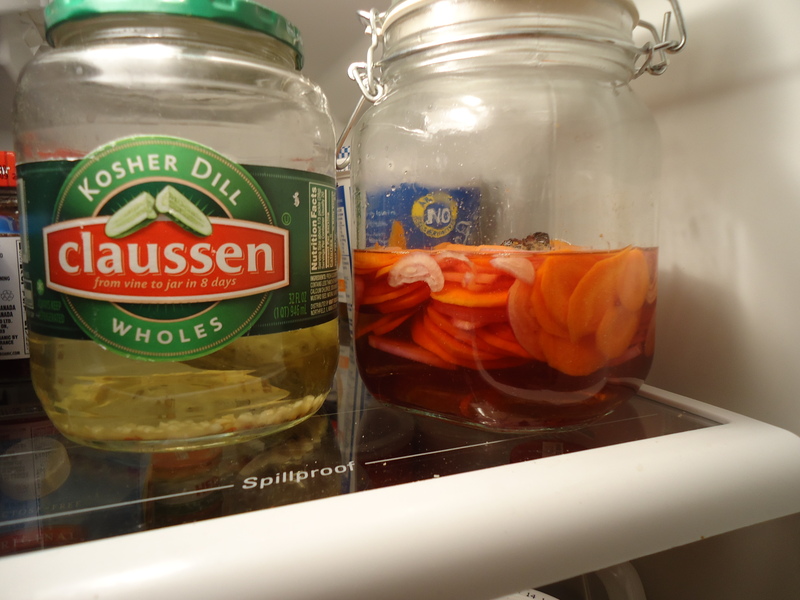 Store-bought pickles just seem to have an ineffable "pickleness" that can be hard to capture when making them at home. It's the taste of childhood, really. And like Kraft Mac n' Cheese and Nestle Quik chocolate milk, that taste-memory is going to be difficult to topple.